The science community seems to have many breakthroughs every year, from biological and technological breakthroughs, to discoveries in archaeology and space. The possibilities of what will be discovered in a single year are limitless. With quite an active year of science behind us in 2014, last year gave way to many changes in the scientific community. Along with capturing the Black Sea Devil on camera, scientists also found a possible way for stem cells to possibly cure Type One Diabetes, a new clue into the origin of the Big Bang and Universe, and unfortunately, a resurgence of diseases that had been nearly eradicated years ago such as measles, whooping cough, and more due to people refusing to vaccinate their children. Out of the many discoveries and scientific breakthroughs of 2014, the following is list of the top 15 scientific breakthroughs of 2014. The Philae robotic probe was the first ever probe to land on a comet nucleus. On November 12, 2014, the Philae probe that accompanied the Rosetta spacecraft made a successful touchdown after a ten year journey from the European Space Agency onto the comet 67P/Churyumov-Gerasimenko. Philae originally encountered a few problems before launching and detaching from the Rosetta spacecraft, including the cold-gas thruster of Philae not working properly, but the scientists at the European Space Agency went ahead and gave it an all clear to detach. After bouncing a couple of times slightly off the comet and back on, as well as landing without anchoring itself, it finally settled into a shadow of a cliff on the comet. 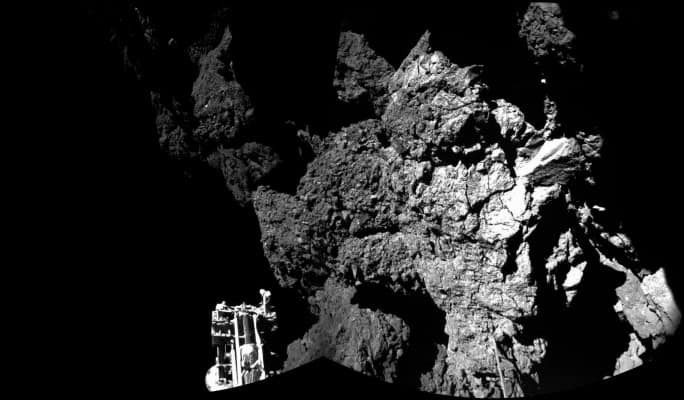 After just a short time, the findings that Philae is making on the comet is already changing the way that humans view the universe, making answers to our origins more possible to find. In September of 2014, for the first time ever, a woman successfully gave birth to her baby after receiving a womb transplant. The 36 year old woman was born with a congenital disorder named Mayer-Rokitansky-Kuster-Hauser syndrome, in which a woman does not have a womb at birth. There have been nine Swedish women that have received a uterine transplant from live donors between 2012 through 2013. Some of those women had wombs donated from their own family members and some of their own mothers, but this woman received a womb from a family friend who was 61 years old. After giving birth to a healthy baby with a womb transplant, women all over the world who are missing uteruses or have uteruses that are not capable of carrying a baby are now finding hope that they, too, could receive a womb transplant and possibly give birth to a healthy baby of their own. Scientists confirmed with 99.9% accuracy that the battle-scarred bones from two years ago found underneath an English parking lot do belong to King Richard III. 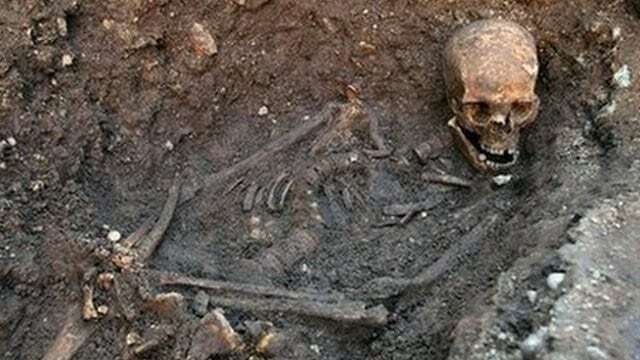 Thanks to a slew of genetice, geological, and archaeological tests, it was confirmed to a 6.7 million to 1 chance that the skeleton belongs to King Richard III. Extensive research confirmed that the king did die when he was 32 years old during the Battle of Bosworth in 1485. The newest research into his genes showed that King Richard III had blond hair and blue eyes. King Richard III was the last king of the House of York, and his death during the Wars of the Roses gave way to the Tudor dynasty taking over. The latest findings confirming his appearance, at least in childhood, were published in December of 2014. It was known before that King Richard III was buried at Greyfriars monestary in Leicester, but once the monastery was closed in 1538, the location became unknown. First discovered by archaeologists in 2007, a museum collection of fossilized seashells that had been previously overlooked were discovered to have engravings of abstract patterns. The shells had been dated to over 500,000 years ago and were found at the same site where the first fossils of Homo erectus were discovered in 1890. After seven years of deep analysis, tests, experiments, and evidence, the scientists were able to publish their findings in 2014 and determined that the seashells represented the earliest examples of art and tools in the world. This confirms that the Homo erectus were more advanced, especially with cognitive thought and having a recognized culture, than previously thought. 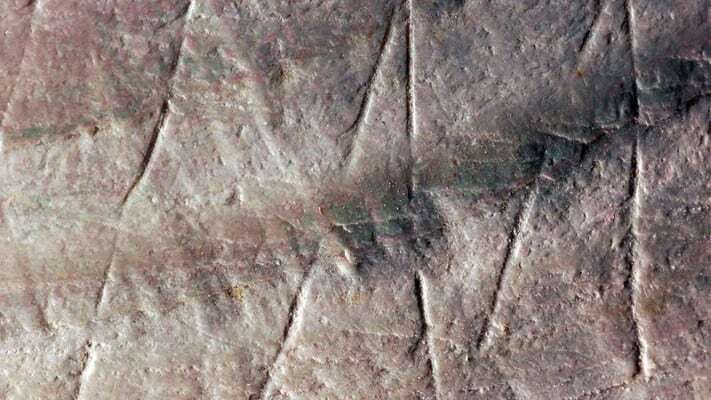 While scientists disagree what the purpose was of making such markings on shells, whether as art or simply for sharpening tools, it is agreed upon that we now know they were more conscious of their own existence that we had realized. The aerodynamics company Lockheed Martin announced in October of 2014 that they had secretly developed a design for a compact nuclear fusion reactor. In doing so, Lockheed Martin claimed that a compact nuclear fusion reactor could help to produce more energy in a much cleaner way than the current fission reactions that are being used today. Lockheed Martin stated that they would have a nuclear fusion reactor prototype within the next five years, though research is still underway. 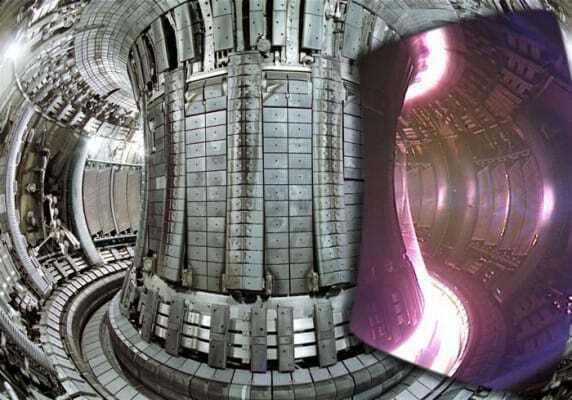 The small team working on the nuclear fusion reactor have already been firing plasma but have not provided any data of the results from over 200 tests that have been conducted. If Lockheed Martin is successful at creating the completed prototype of a nuclear fusion reactor in five years, it would have a commercial application ready within ten years. Lockheed Martin is already confident enough to say that fusion reactors could power larger things such as airplanes one day. Stonehenge has long been a well known prehistoric site of massive Neolithic stones that seem to form a complete circle. The origin of these have been unknown for a while, though archaeologists have continued to find more answers to the seemingly random circle of stones. In September of 2014, all of that changed. 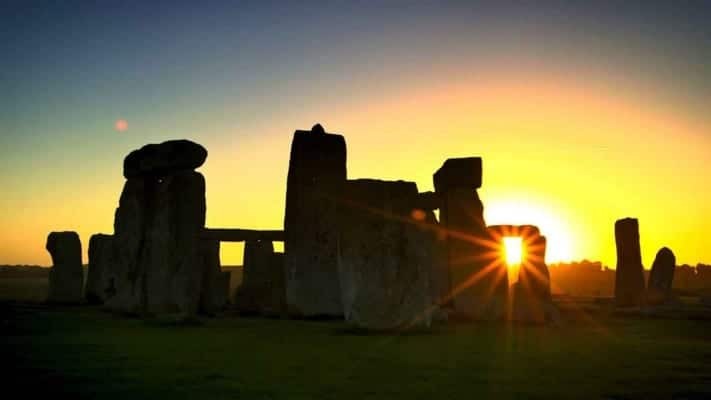 Archaeologists were able to observe and confirm the presence of where more stones once stood to make Stonehenge a complete circle, and then within the following couple of weeks, they discovered an amazing amount of prehistoric structures. Using a ground-penetrating radar, archaeologists discovered chapels, shrines, and burial mounds, along with a massive monument that contains over 50 giant stones, all buried in a 1,082 foot long c-shape enclosure. Armed with findings, we now know that Stonehenge is not as lonely or abandoned of a place as it once seemed, and the circular pattern of the stones may not have been random at all. Within the past few years, astronomers have discovered several planets that are within the habitable zone, or Godilocks region, of their orbits around their stars. 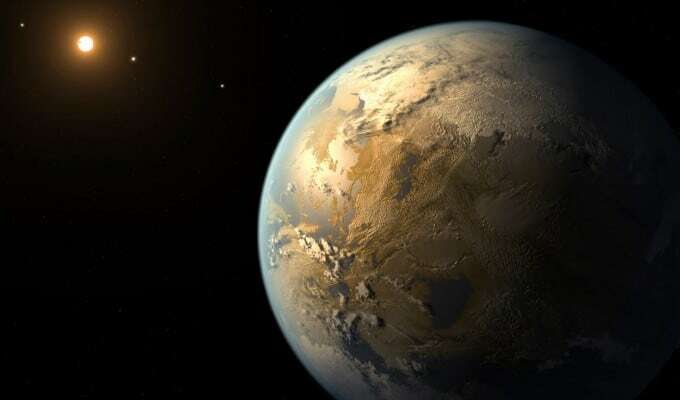 However, in April of 2014, astronomers discovered Kepler-186f, which is the most Earth-like planet in the habitable zone that has been found to date. The Kepler mission is dedicated to planet hunting, not to find a new place to live, but to see and answer the question if we are really alone in the universe. With the distance of the planet Kepler-186f from it’s sun, it is almost equidistant of the Earth’s distance from our sun. That being so, means that Kepler-186f could very well have liquid water, or at least have all of the right things in place to produce liquid water one day. The fact that astronomers are now finding more Earth-like planets means we could very well find one with water on it sooner than we thought. One of Saturn’s icy moons, Enceladus, has been recently observed by the Cassini spacecraft that orbits the planet, taking pictures, observations, and sending data back to Earth. In 2005, Cassini took pictures of what looked like water vapor exploding from fractures in the ice of the southern pole of Enceladus, which piqued scientists’ interest that there may have been water on the planet. 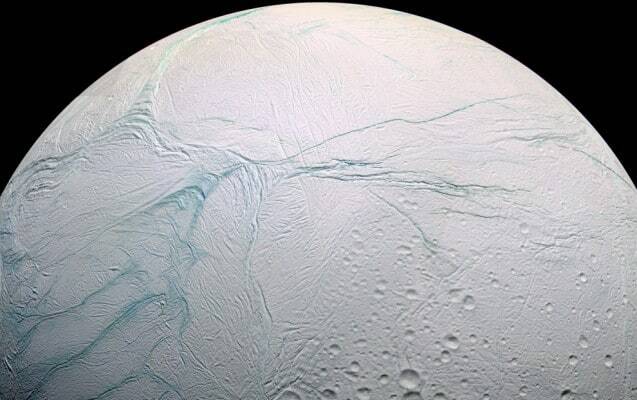 By April of 2014, Cassini found that a large liquid water ocean exists under the ice covered moon of Enceladus. After that discovery, scientists quickly figured out that Enceladus has two layers, the icy one that covers the planet, and a rocky core made up of silicates inside. The geysers of the moon are possibly connected with the ocean beneath the ice, which means it could be more habitable that Europa, one of Jupiter’s potentially habitable moons. Scientists have considered the possibility that a new origin of life could have, or may have already begun on Enceladus. In September of 2014, paleontologist Kenneth Lacovara alongside his team, discovered the 85 feet long Dreadnoughtus Schrani. The Dreadnoughtus was a herbivorous sauropod considered to be a titanosaurian. It’s tail alone was at least 30 feet in length. The neck of the Dreadnoughtus was at least 37 feet long, with it’s scapula measuring more than five and half feet tall, which makes it the tallest ever found of a titanosaur. Lacovara’s team was able to make an approximate weight of the dinosaur of around 65 tons by measuring one of the femurs of the Dreadnoughtus. The femurs were over six feet tall in height, and the individual vertabrae in it’s neck measured at least three feet wide. It is estimated that the Dreadnoughtus Schrani lived around 77 million years ago, and is significantly larger than any other titanosaur found to date, which means that the Dreadnoughtus was a massively huge dinosaur. In the fight to find the cause of Autism, a significant finding was discovered in July of 2014 on the possible cause of autism. 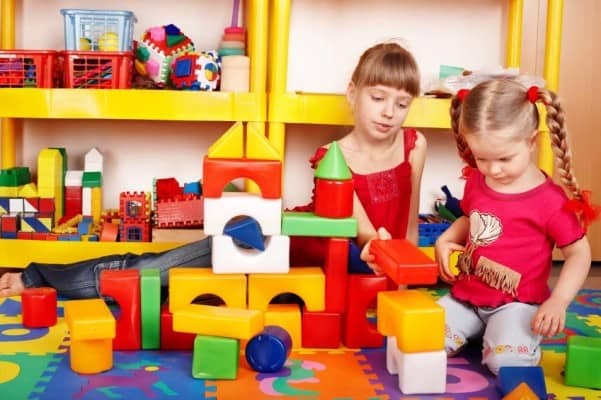 Researchers were able to link mutations of the CHD8 gene, or chromodomain helicase DNA binding protein 8, to be a distinct subtype of the autism spectrum disorder. In a study conducted on 6,176 people with autism spectrum disorder, 15 of the people had the mutation of the CHD8 gene. All fifteen people had very similar, distinctive characteristics such as wide-set eyes and broad foreheads, along with troubles sleeping and severe constipation. The same study was conducted on 9,000 people who did not have autism spectrum disorder, and all of them had CHD8 genes that were properly functioning. Though the origin of the mutation is still unknown, we may have answers to the origin of many or all of the types of autism spectrum disorder sooner than we thought. The type of tissue biopsies that have been used for a while now to test people for cancer have been painful, are invasive, and have been known to cause possible infections. These types of biopsies have been done usually after an individual has been experiencing symptoms, and it tends to be a little to late to catch the cancer early. 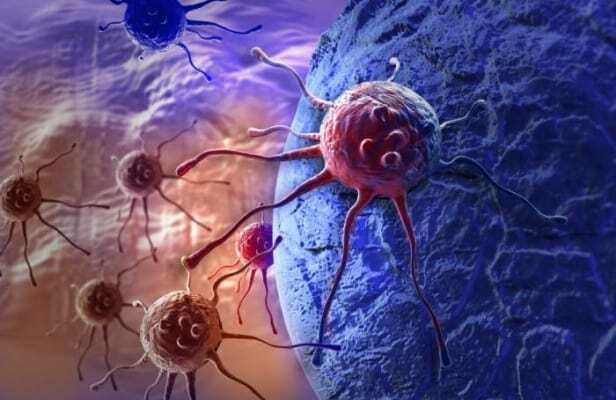 However, the recent discovery of exosomes, which travel through bodily fluids, were found to play an important role in cellular communication, making it possible to instead be able to diagnosis cancer through urine, blood, or saliva samples, which are much less invasive and painful. James McCullough’s company, Exosome Diagnostics, were able to develop a test to capture the exosomes to be able to flag mutations that show malignant cells exist within the body. Currently, it is being tested to detect early-stages of HIV and hepatitis B and C. If successful, then it’s technological potential will be able to test more diseases and cancer. Physicists have been looking into ways of how quantum cryptography could provide spyproof encryption that can be used widely for better data security. Quantum key distribution is the unbreakable encryption protocol that observes information as it changes. The randomly generated key would be enclosed on light particles that would be passed through fiber optic cables before using it to help encrypt sensitive data. If one were to try to detect the key, it would alter the photons and provide information that a new key would be needed. Quantum key distribution requires large detectors but researchers are already looking for ways to minimize the current space needed for it to work. This would be a huge leap into better protecting sensitive data, and could provide even better ways to protect against unnecessary cyber attacks. The first focus would be on a smaller scale for one city to test and see if it is possible to keep data safe, then if successful, the technology would then be distributed in a greater scale. 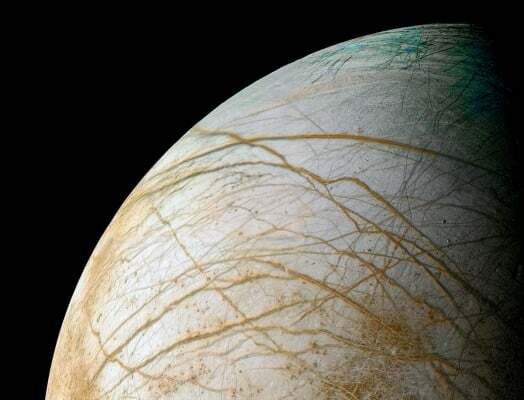 One of the most well known moons of Jupiter, Europa, showed a possible link to having active plate tectonics in previous observations of the moon. In September of 2014, a recent geological survey of Europa showed that a 20,000 square kilometer portion of the surface was no longer there. After confirming the findings through extensive studies, it was determined that the disappearance of such a large area would only be due to one thing, plate tectonics. Researchers found that currently active plate tectonics on Europa would be moving old portions of the surface of the moon beneath adjacent plates of the moon. Europa would be the only place in the solar system, aside from Earth, that would have a surface that is being shaped by active plate tectonics. Our own moon has shown evidence of volcanos and plate tectonics that long ago stopped for unknown reasons. These findings are very exciting at the possibility of other active plate tectonics on other moons within our own solar system. Though people thought the concept of sending humans into deep space to explore was laughable when NASA announced it’s plan, the space agency proved the naysayers wrong. 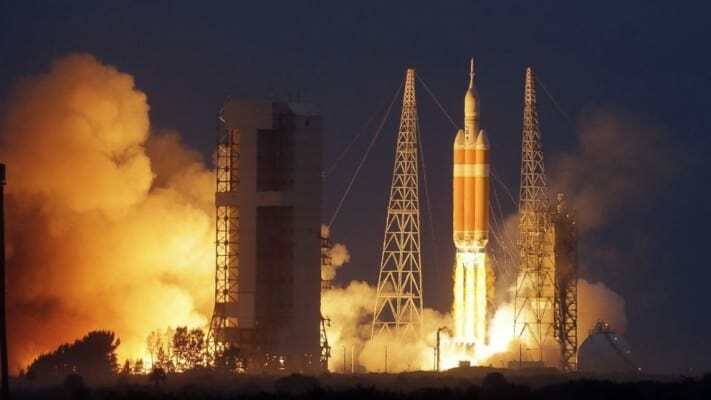 In December of 2014, NASA set up the launch of Orion, the first and only unmanned test flight. After a flawless launch from Florida, Orion passed through the Van Allen radiation belts, and made it back into the Pacific Ocean as planned. Though it was just a test flight, the success of it proved that there will be wonderful progress for moving closer to being able to send humans into space to explore deep space. For the next launch of Orion, humans will be aboard. After a successful human flight with Orion, the plan is to send humans up again to an asteroid. NASA is very close to making this dream become a reality, and are hopeful that eventually their budget will increase a bit in order to make even more advances in space. The supercluster that contains our Milky Way galaxy was defined to be where our location is in the universe. 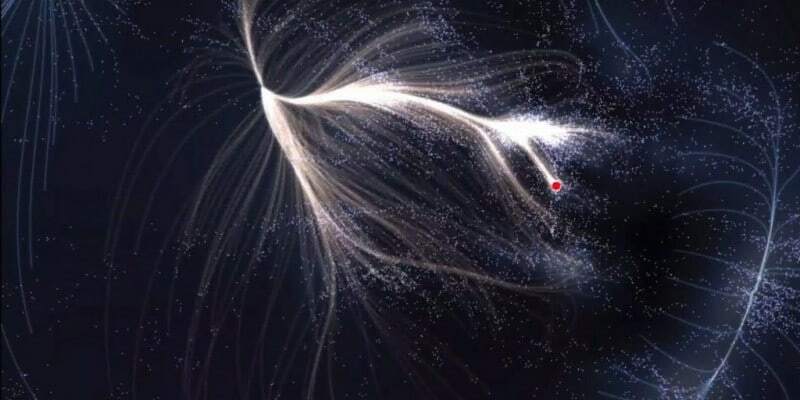 Scientists call it the Laniakea Supercluster. and by using an innovative mapping technology, astronomers where able to better define the dividing line between superclusters and give us a whole new idea about what our universe looks like geographically. It was also found that our supercluster is one hundred times bigger than previously thought. Just in our own Laniakea Supercluster, there are over 100,000 galaxies stretched out over 520 megalight-years. Our supercluster consists of three smaller clusters, which are the Virgo Supercluster, Hydra-Centaurus Supercluster, and the Pavo-Indus Supercluster. This is significant in that we are understanding even more about our location in the universe, and just how large the entire universe is. Wiener filtering is the new method of mapping in which astronomers are able to analyze galaxy movements by their peculiar motion from cosmic expansion.